It’s been a (real) long time since I tried out for my high school baseball team. Makes me wonder what has and hasn’t changed about the steps players take to get there. And if my son, Lefty, wants to play high school ball like I did, is he on the right track for today’s game? 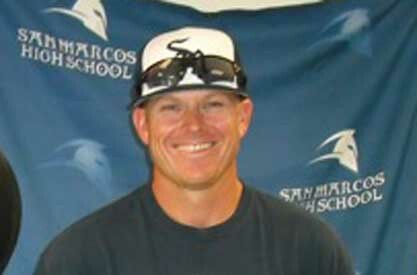 Questions like these led me to talk with San Marcos High School’s varsity baseball coach, Jeff Dufek. I thought it would be cool to get insight straight from a guy with 10 years of experience coaching at the high school level. And it was. Because we covered so much, I’m dividing our conversation into three posts — The Early Years (youth baseball to high school), Getting a Spot on the Team (what a coach looks for) and How It Works (tryouts and the team makeup). I hope you find it as informative as I did. A big thanks to Coach Dufek for taking his time to give us parents a glimpse into today’s world of high school baseball. TheRustyArm: What youth baseball experience do most of your players have in common? Rec ball? Travel ball? Specialized coaching? Other? Here’s what I’m getting at … is there a prescribed path that the majority of your players follow from youth on? Coach Dufek: Most of our players played rec ball and some form of travel ball. I’m not sure how many of them also get lessons but I know some do. I look for players who’ve played at the highest level possible before getting to me. Those players understand what good competition is. Kids who come to us without that background often struggle. TheRustyArm: Do you think youth baseball players should specialize early? Or participate in other sports or conditioning programs? If you suggest the latter, which ones and why? Coach Dufek: I think young players should play as many sports as they want. The more athletic the player is, the better. The skill sets of other sports will translate to baseball. Any sport that involves quick movements, quick decision-making, physical strength and a high level of competitiveness is a benefit. 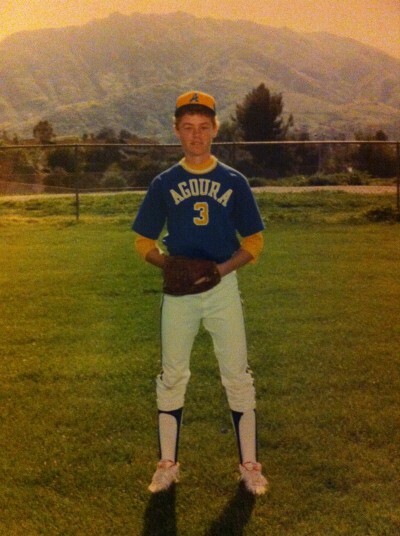 TheRustyArm: What’s your best advice for parents who would like to see their child play high school baseball someday? Coach Dufek: Help their player become as fundamentally sound as possible. Focus on their coaching. Good coaching is key – for private lessons or team sports. In my opinion that’s most important. Down the road, it might be a good idea to make contact with their future high school coach and have them participate in camps run by that organization. TheRustyArm: What are the most common mistakes you see families making with respect to their player’s development? Coach Dufek: I think the biggest mistake parents make today is overdoing things. Some kids are playing so much baseball they have no time for other sports or activities. As a result, a player’s excitement for the game can sometimes taper off by the time they get to me. Parents mean well. But, too much intensity around the sport too early on can wear a young player down. When burnout happens, I don’t even mind seeing a player take a season off to come back recharged. They can still hit and throw, but it doesn’t have to be regimented with games and practices all the time. There is a fine line between helping a young player get better and taking the fun out of baseball. Come back Tuesday for Getting a Spot on the Team – part two of my conversation with Coach Dufek. Find out what his best advice to today’s youth player is. What the top three things he looks for in a player are. And a lot more.